You’ve waited patiently for this moment – and now it’s here. We’ve got a sneak peek at ‘Riverdale’, the new one-hour live-action drama based on the classic Archie Comics characters premiering January 26th, 2017 at 9/8c on The CW. What more could you want? ‘Riverdale’ is written by Archie Comics Chief Creative Officer Roberto Aguirre-Sacasa and produced by Warner Brothers Studios and Berlanti Productions and has been described as a subversive take on the classic Archie mythos. Greg Berlanti, Sarah Schecter, Jon Goldwater, and Roberto Aguirre-Sacasa serve as executive producers. The live-action series offers a bold, compelling take on Archie, Betty, Veronica, and their friends, exploring small-town life and the darkness and weirdness bubbling beneath Riverdale’s wholesome facade. The show will focus on the eternal love triangle of Archie Andrews, girl-next-door Betty Cooper, and rich socialite Veronica Lodge, and will include the entire cast of characters from the comic books—including Archie’s rival, Reggie Mantle, and his best friend, Jughead Jones. The show’s premiere on January 26th will be followed one week later on February 1st, with a special tie-in one-shot comic book written by ‘Riverdale’ showrunner Roberto Aguirre-Sacasa and members of the show’s writing staff with art by Alitha Martinez. 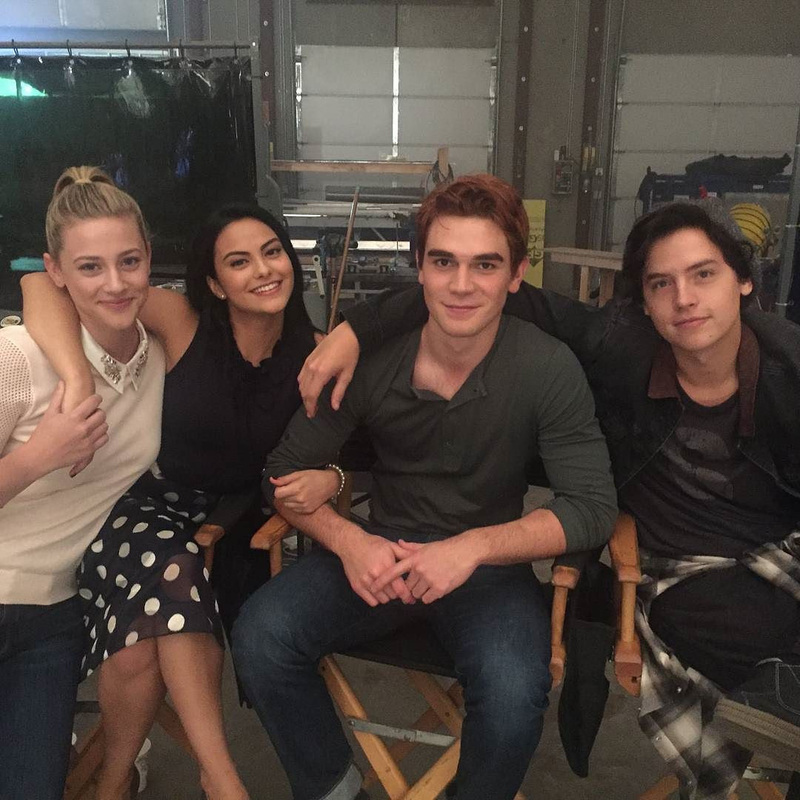 The RIVERDALE ONE-SHOT promises to reveal new secrets and stories from the summer before the eternal love-triangle debuts on television screens. An ongoing RIVERDALE comic book series will debut in comic book stores and digital platforms in March by Aguirre-Sacasa and Martinez that will run alongside the show, expanding on the events of the series and diving deeper into the characters and their relationships.For more information about ‘Riverdale’ and everything Archie Comics, visit the official Archie Comics website and follow us on Twitter, Facebook, and Instagram.